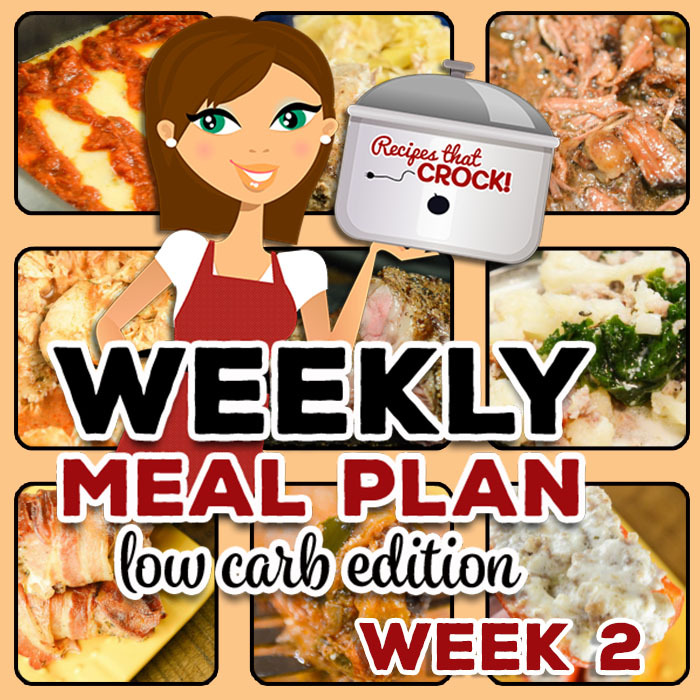 Low Carb Crock Pot Menu (Week 2) - Recipes That Crock! Are you looking for good low carb crock pot recipes? 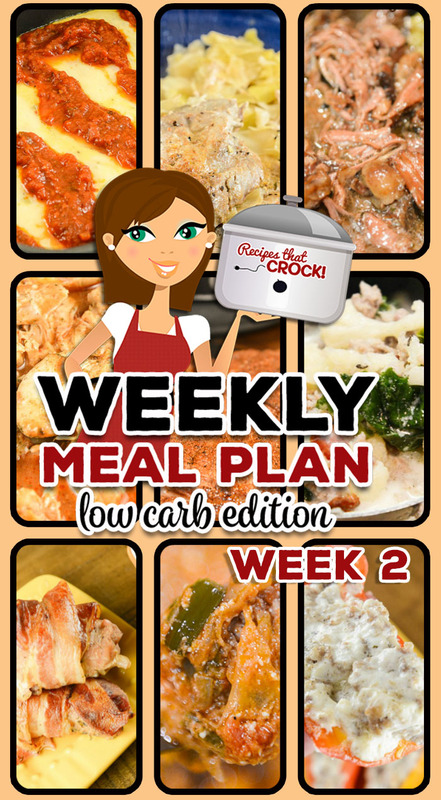 This week’s Low Carb Crock Pot Menu includes Crock Pot Unstuffed Cabbage Casserole, Crock Pot Country Ribs – Bacon Ranch, Low Carb Crock Pot Zuppa Toscana Soup, Low Carb Lasagna Casserole and more! Ever since we started sharing our favorite low carb recipes with readers, folks have asked me to consider putting together a low carb weekly meal plan much like our regular meal plans. And, after seeing the response to our Low Carb Newsletter (sign up here), we have decided to try adding a Low Carb Menus to our weekly content. Each week we hope to share with you some of our favorite staples that we regularly eat as a part of our low carb lifestyle. We will be including crock pot recipes, electric pressure cooker options, low carb air fryer recipes and other low carb recipes that we love. Make sure to sign up for the low carb newsletter to never miss a week! Enjoy! Note: Nutritional information and carb counts on ALL recipes will vary greatly depending on the exact products you choose to make our dishes. Please consult your doctor before attempting any new diet or lifestyle. Our low carb meal plans may not fit your specific dietary needs. We are simply sharing low carb recipes we have found enjoyable.